These little bites of heaven are one of the many versions of “gooey butter cake” – a name that can be very misleading to a Southern girl like me! 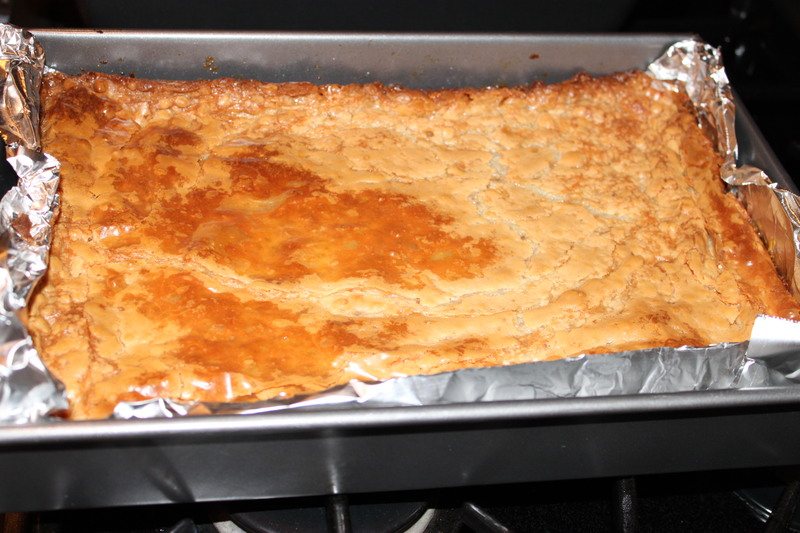 Gooey butter cake is a type of cake traditionally made in the midwest. It is a flat and dense cake made with cake flour, butter, sugar, and eggs, typically near an inch tall, and dusted with powdered sugar. They are generally cut and served like brownies – so that’s why I’m calling them bars – these aren’t like any cake I’ve ever made!! I think you’ll love these rich treats – they’re a little non-traditional, but they taste amazing! They are definitely one of the best desserts I make! Preheat the oven to 350 and lightly grease a 13×9 baking pan. Combine cake mix, 1 egg, and 1 stick of butter and mix well. Pat into the bottom of prepared pan and set aside. Using an electric mixer, beat cream cheese until smooth, then add the eggs and vanilla bean paste. Add the powdered sugar and beat well. Next, slowly pour in butter. Lastly, fold in the toffee bits. 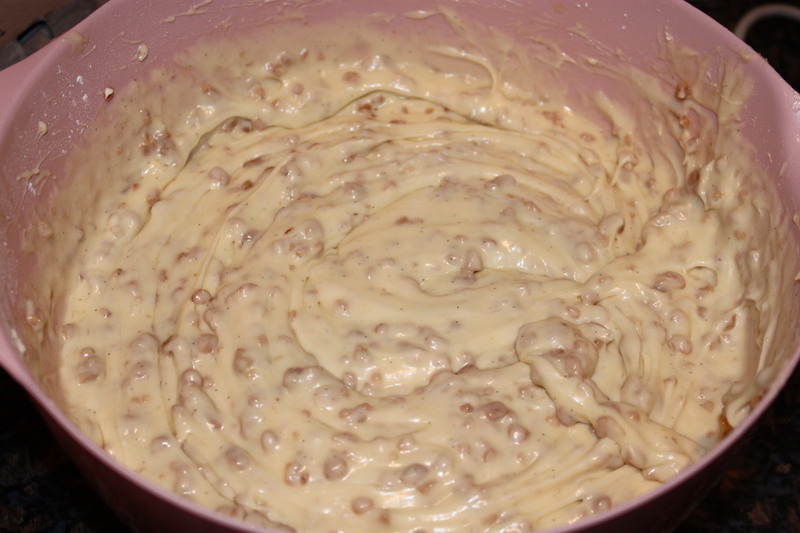 Pour filling onto cake mixture and spread evenly. Bake for 40 minutes – but don’t overbake! Your center should still be “gooey” – mine only took about 30 minutes! 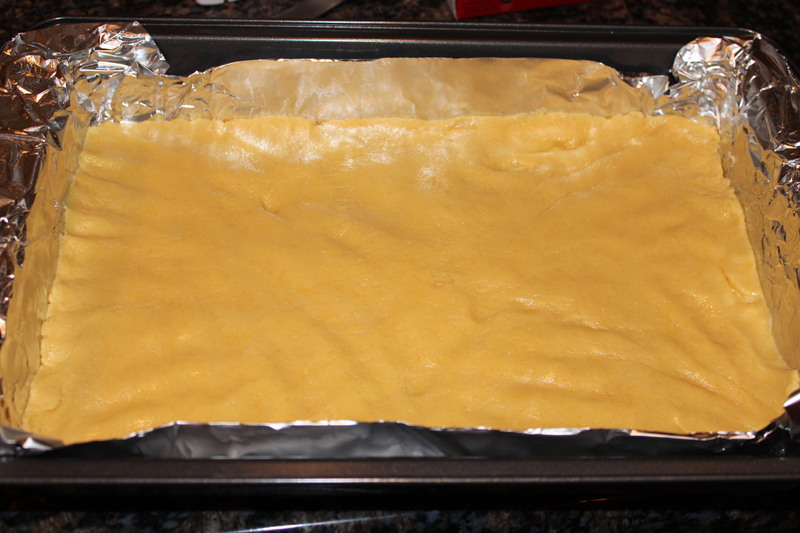 Remove from oven and cool – then cut into squares. Enjoy! I met your mom (Ann Smith) at Mary Mix’s party last night. 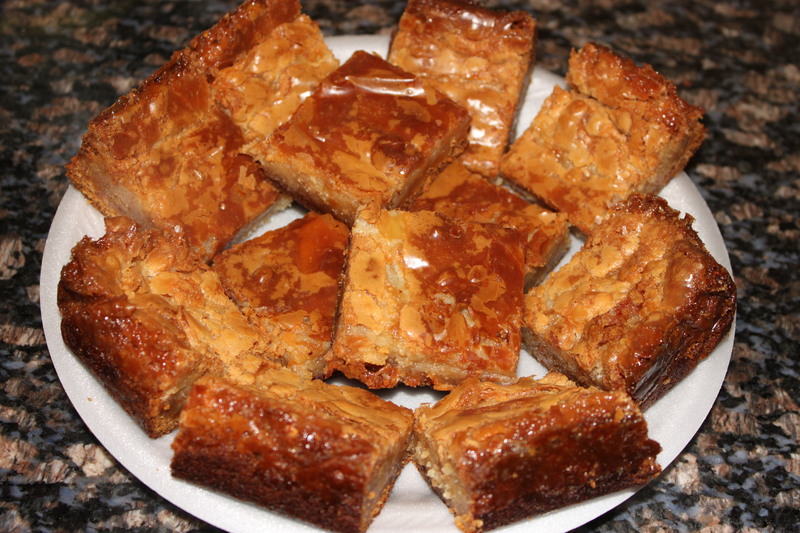 Your dad brought the gooey toffee bars and yum, yum, yum. Your mom gave me your site. Wow, terrific. I don’t know where you get the time to be an attorney as well as keep us this recipe/picture site. But thank you so much. I found out,(by accident), if you leave out the butter in the filling, these turn into yummy bar cookies that aren’t so gooey. I make them this way on purpose now. Our favorite. Very rich, dense, and oh so yummy!